The uncertainty of the financial markets amid the current recession has had a direct effect on the worldwide fine art market. Some sectors of the art market, Impressionist and Modern painting for instance, where prices can run into the hundreds of millions of dollars, have undergone a sobering readjustment in the last year. Across the art market, there has been a clear decline in the quantity, quality, and most importantly, the prices realized for artwork that has sold at auctions and galleries since the Fall of 2008. There is, however, one area of the art market that has remained not only resilient but robust. Ancient Art, or antiquities, the term used to describe the art and artifacts of the ancient civilizations of the old world (i.e., Mesopotamia, Egypt, Greece, and Rome), continue to attract collectors in search of objects with deeper relevance and more reassuring investment potential. 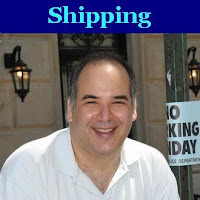 As a scholar, collector, and dealer of antiquities through his New York gallery, Hixenbaugh Ancient Art Ltd, the author has long extolled the pleasures and rewards of collecting ancient art. Antiquities have enthralled collectors not merely because of their sheer age, but also because of their astounding beauty and craftsmanship. These considerations coupled with the improbability of their having survived to the modern age make Ancient Art one of the most fascinating areas in which to collect. Among the most prized and sought after antiquities are the works of the Ancient Greeks. The fine ceramic vases, marble sculptures, jewelry, glass, and bronze wares of the Greeks astound the viewer with their precision, quality, and sublime beauty. Ancient Greek Art has been vigorously collected by both museums and private individuals for centuries. Collecting antiquities has however been, up until fairly recently a rather elitist pastime, reserved for those few with the wealth and leisure to pursue a Classical education and to travel and obtain these treasures of antiquity. The worldwide antiquities market of today is a much more transparent and accessible field. Thousands of objects at all price levels that have been legally acquired and rigorously vetted are offered by a number of reputable dealers and auction houses every year. 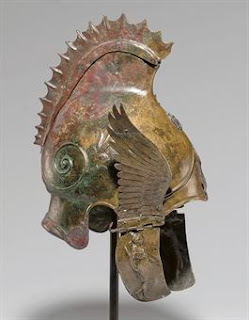 For a fraction of the price one might expect to pay for a Picasso or Warhol, a collector can acquire an artifact from the age of Homer, an Ancient Greek helmet worn by a hoplite at the time of the Battle of Marathon, a vase used to serve wine at a symposium during the time of Plato, or an Athenian silver tetradrachm minted in the reign of Pericles. Antiquities have been collected and traded since the Renaissance. A great many individual objects have sold at auction repeatedly over the last hundred years. The appreciation in value of these artworks over the decades has been substantial. The results of major antiquities auctions are the clearest indicator of how well the market value of ancient art is holding up amid the current financial climate. At the two major auction houses, Christie's and Sotheby's (NYSE: BID), latest semi-annual antiquities sales this past December in New York, we find that the investment value of fine ancient Greek art has not only persisted through the recession, it has in fact continued to appreciate. Although the amount of truly rare and important objects on offer at auction has been slightly less than it was in previous years, fine Greek antiquities continue to hold their own, often contested among several serious bidders and selling well above their presale estimates. For instance, in the Sotheby's sale of December 10, 2009, a small ancient Greek black-figure wine cup painted with an image of Herakles, lot 26, soared over its strong presale estimate of $20,000-$30,000, selling for $92,500. 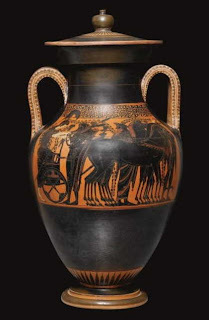 In the same auction, another Greek vase from the same private collection, lot 28, a large Greek black-figure pottery amphora, painted by the ancient Greek artist, Antimenes, ca. 520-510 BC, far exceeded its presale estimate of $120,000-$180,000, selling for $290,500. The results at Christie's were no different. Here a spectacular ancient Greek bronze helmet with wings and embossed images of Nike and Artemis on the cheek pieces (seen atop article), cleared its presale estimate of $150,000-$250,000, realizing a price of $266,500. A Greek bronze statue of an African, lot 125, which sold previously at the same auction house in June of 2005 for $96,000, now sold $182,500. In five years this ancient Greek statue nearly doubled in value. Throughout both sales most Greek antiquities not only found buyers, but sold above their estimates, and for prices far higher than their owners had originally purchased them. The same holds true for the Summer of 2009 antiquities sales. At Sotheby's June sale a beautiful Greek marble krater, a wine serving vessel, made in Athens in the 1st century BC, went far over its pre-sale estimate of $250,000-350,000, selling for $692,500. Of the forty ancient Greek vases on offer at Christie's in June, thirty-six found buyers. The prices for these vases ranged from a few thousand to tens of thousands dollars. Modest sums in a world where paintings and sculptures produced in the last century regularly sell for millions of dollars. Antiquities are therefore attainable to a much wider group of collectors. While the amount of antiquities available is finite, the number of collectors continues to increase, continually driving the market upward. Furthermore, these objects are not subject to the peaks and troughs of short-lived trends within the fickle art market. Antiquities are quite literally blue-chip investments within the art world. One need only compare the results of auction sales ten years ago to see how steadily the value of antiquities has increased - in most cases the value of fine quality ancient art has more than doubled over the last decade. The especially rare and desirable pieces have appreciated much more over the same span of time. The true joy in collecting, however, is not found in merely buying for investment. The pleasure lies in acquiring, preserving, and cherishing the works of art that have managed to elude the destructive ravages of time and come down to us. These objects represent not only the physical manifestation of the manifold achievements of the ancient Greeks, but also the antecedents of all of Western Culture. The objects will undoubtedly out live those of us who collect them, but these collectors become links in a chain, preserving the past for future generations by passing them on to their heirs, reselling them to eager collectors, or donating them to museums. In doing so the collector of Ancient Greek art reaps the many benefits of investing in truly unique and thought provoking objects that have come down to us from the ancient Greek World whose influences pervade every aspect of the modern world. 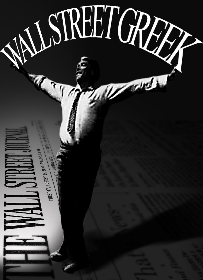 Editor's Note: This article may interest investors in specialty retail, art & auction and Greek shares, including NYSE: BID, Nasdaq: CAICX, Nasdaq: CAITX, Nasdaq: CAIAX, OTC: BLKU.OB, NYSE: TIF, OTC: CRUPF.PK, OTC: AVSTF.PK, NYSE: ZLC, NYSE: SIG, NYSE: BMJ, Nasdaq: DGSE, Nasdaq: NILE, NYSE: LYG, NYSE: RBA, NYSE: KAR, OTC: AVSTF.PK, Nasdaq: CLCT, Nasdaq: CCNG, OTC: BYDC.PK, OTC: CLHSF.PK, NZSE: MOW.NZ, OTC: HAFIF.PK, OTC: WWDA.PK, OTC: AUCI.PK, OTC: TAUTF.PK, OTC: AUCC.PK, Frankfurt: ZUIA.F, Korea: 063170.KQ, OTC: AAQS.OB, NYSE: NBG, NYSE: OTE, NYSE: CCH, Nasdaq: CLMS, Nasdaq: TOPS, NYSE: TNP, NYSE: DAC, Nasdaq: EGLE, Nasdaq: ESEA, NYSE: NM, NYSE: ISH, NYSE: GSL, NYSE: HRZ, Nasdaq: DRYS, NYSE: GNK, Berlin: CUJ1.BE, Nasdaq: SPLS, NYSE: LUX, NYSE: SHW, Nasdaq: PETM, Nasdaq: NRGY, Nasdaq: TSCO, NYSE: ODP, NYSE: SPH, NYSE: SBH, NYSE: FGP, NYSE: OMX, NYSE: BKS, NYSE: JAS, Nasdaq: CWTR, NYSE: VSI, NYSE: MED, NYSE: SGU, Nasdaq: TITN, Nasdaq: WMAR, NYSE: HZO, NYSE: BGP, NYSE: MDS, Nasdaq: BAMM, Nasdaq: ACMR, Nasdaq: PERF, NYSE: TA, Nasdaq: ZAGG, NYSE: IPT. When are people going to wake up. I suggest that the art has not increased in price but that the value of the currency is going down! Well, anonymous, yes the value of currency is going down - that's kinda what inflation means. But when the price paid for a piece at auction represents an increase above inflation since it was last sold, that means it's value has indeed increased. Simple economics.